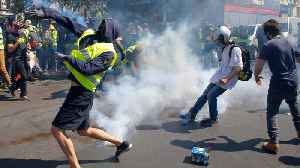 This week's protests mark the 19th consecutive week the demonstrators have taken to the streets of the French capital. 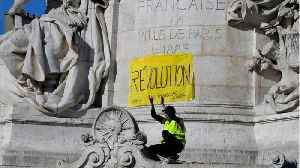 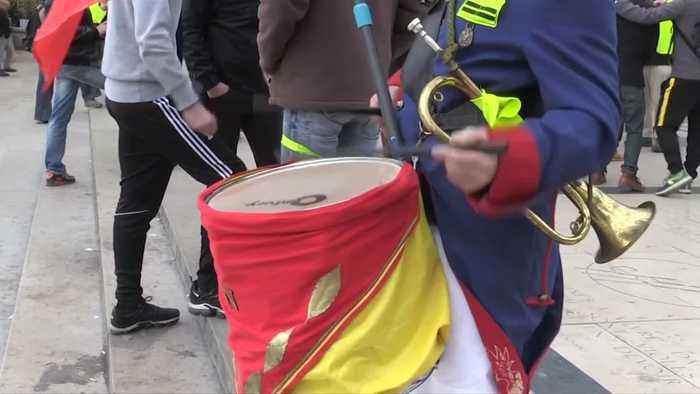 French "yellow vest" demonstrators began their 19th consecutive weekend of protests against President Emmanuel Macron's government on Saturday (March 23) as military units were deployed to help police clamp down on any trouble. 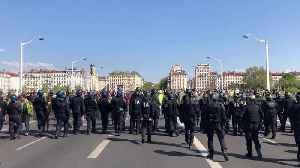 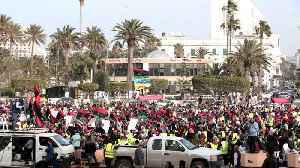 Some demonstrators gathered near the Eiffel Tower, while others began marching along a new route taking them from Denfert Rochereau in southern Paris with the aim of finishing by Barbes, near the Sacre Coeur church in northern Paris. 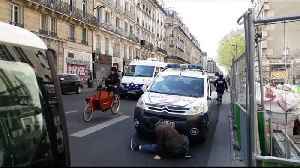 Fifty-one people had been arrested as of early afternoon, Paris police said. 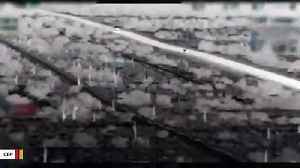 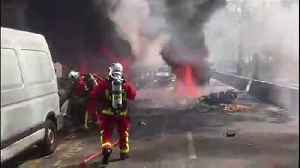 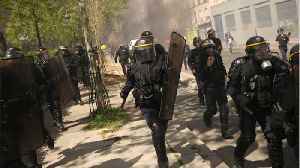 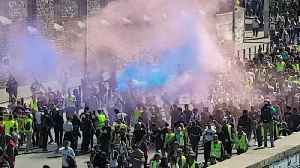 Chief of police Didier Lallement said protesters who breach the prohibited perimeters around Paris will be subjected to a 135 euro fine.